BORN: May 26, 1964, New York, NY On his new album, Lenny Kravitz digs deep, goes long and hangs tough to discover…himself. It's no fluke that his lng-awaited sixth album is titled, simply, Lenny. Written, produced, arranged and performed by rock and roll's quintessential renaissance man, these twelve astonishing tracks are the most innovative, iconoclastic and involving offerings of a career marked by uncompromising creative integrity. On his first collection of new, original material since 1998's breakthrough Grammy-winner 5 and the follow-up to his international smash Greatest Hits, Lenny Kravitz takes his music personally. The music of Lenny lays bare the essence of the artist—and the man. "This record has a very tough attitude," asserts the creator of the densely textured sound that roars from these tracks like a sustained act of spontaneous generation. "I like extremes and contrast and I let myself reach that edge, stripping everything back to the essentials and taking a very direct path. Nothing's wasted. Nothing's unnecessary." 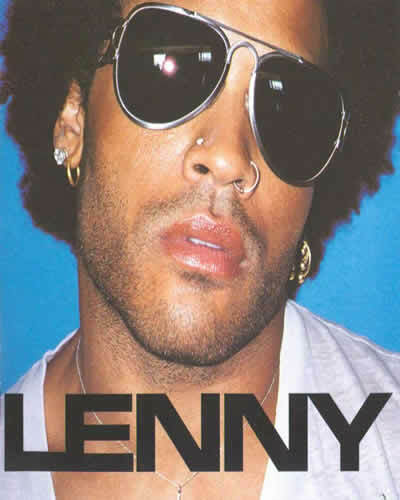 Recorded primarily in early 2001 at his new state-of-the-art Roxie Studios in Miami, Lenny captures that creative energy in full flower, with assured, unfettered performances and production illuminating his passionate points of view. "There's a definite theme that unites these songs," Lenny Kravitz reveals. "It's about being positive, about moving forward and seizing the day. I'm very optimistic and that's a great place to be." It certainly is. Three years ago, the release of the album 5 catapulted Kravitz to the front ranks of rock and roll's prime movers, consolidating a lifetime of music-making into a furious burst of creativity that included the breakthrough hit "I Belong To You," and double Grammy-winning follow-ups, "Fly Away" and "American Woman." Effortlessly assuming the superstar mantle, Kravitz paused long enough to release a greatest hits collection that sold upwards of eight million copies worldwide and spawned his third consecutive Grammy for the newly cut "Again" (a track originally slated for Lenny). Yet even while putting the finishing touches on the Greatest Hits package, Kravitz was already assembling the elements of his next project. "I've got a place in the Bahamas," he explains, "just a beachfront shack on an island with no distractions, where I started writing. After I got about three or four songs, I went into the studio. I never write a whole album before I start recording. A big part of what I do is discovering the direction as I go. I let the tracks take their own shape, not dictated by my ego. The music will always tell you what's going on, where it's heading and when it gets there. All you've got to do is listen." Kravitz was obviously listening. 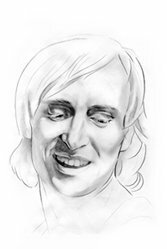 He built a seamlessly integrated sound from the ground up. "It takes a lot of experimentation, a lot of trial and error and a lot of patience," he allows. "As you add one element after the other, the dynamics of the music changes and what sounds great the first time you lay it down may not hold up when you add another layer. The way I work is to get each part in place as I go. One day I might do a bass or drums or guitar. I'll mix, balance and EQ it, then move on. I'm mixing as I go, making it work step by step. I don't believe in fixing it in the mix. If it doesn't work now, it's not going to work later." In marked contrast to all this exacting sonic science is the resulting breathtaking intimacy and immediacy. Lenny accomplishes the seemingly impossible goal of sounding virtually live, as if one extraordinarily ambidextrous individual is playing it all, and all at the same time. "If you turn it up, it becomes like a wall of sound coming down on top of you," Kravitz elaborates. "What I wanted to achieve was one big sound, a musical collage made up of many parts that all come together as a whole. Of course," he adds with typical understatement, "trying to do that by yourself makes it harder." His astonishing feat of self-expression makes it hard to imagine anyone else intruding. With Lenny, Kravitz creates a vast aural canvas on which he renders a strikingly personal, unfailingly honest and completely authentic lyrical landscape. The sentiments expressed in such standout tracks as "Yesterday Is Gone" and "Dig In" ring with the resonance of hard won truth, a spiritual wisdom that never preaches but persuades by example. The flash and roar igniting "Battlefield Of Love" and "Bank Robber Man" (based on the artist's well-publicized run-in with Miami police) convincingly underscore his mastery of real rock and roll's supercharged elements, while such key cuts as "Believe In Me," "Pay To Play" and "If I Could Fall In Love" are examples of a songwriting skill at the peak of its expressive powers. At the same time, Lenny is laced with songs that can only be described in their own terms. On "You Were In My Heart" the artist conveys a truth all the more poignant for being familiar to anyone who has ever honestly searched themselves. "A Million Miles Away" offers unflinching insights into isolation, while the album's stunning closer, "Let's Get High," is a genuinely transcendent experience in both style and substance. "It's about eliminating all exterior distractions," Lenny Kravitz explains of another album highlight, "Stillness Of Heart." "It's about making peace with yourself, about being enough. People feel inadequate unless they're validated by things like money or status. But, at the end of the day, you have to look at yourself in the mirror and deal with that person." On Lenny, this gifted and intuitive artist has searched himself, taken the full measure of his life and art, and found music that reflects a brilliant light. The album has already taken Kravitz to new heights with the artist winning his fourth record breaking Grammy Award in the "Best Male Rock Vocal Performance" category for the single, "Dig In." With previous awards for "Again," "American Woman" and "Fly Away," never before in Grammy history has an artist won four consecutive awards in this category. Kravitz also was honored this year to receive his first American Music Award for Favorite Male Artist (Pop/Rock). In an era of music where careers have become very disposable, Kravitz's remarkable decade-plus career is only beginning with his first world tour in 3 years, scheduled to kick off in Japan on April 9th.